We offer spot-free mirror cleaning and skylight cleaning for both residential and commercial properties. If you have several mirrors in your home or office then you know the effort you have to put into cleaning them. Save time and money by hiring the Southwest Ultra Clear team. We will make your mirrors spotless with a clear reflection and your skylights bright and ultra clean. We use mirror-safe solutions specifically designed to polish mirrors and give them a shine for a better reflection. Our eco-friendly mirror cleaning agents will not hurt the finish or the reflective clarity of any mirrors. Regardless of the size or shape of your mirror, we can get it looking like new. You’ll love the results of our Las Vegas mirror cleaning service! 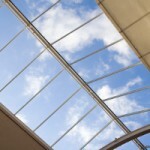 Skylights are among some of the most difficult window items to clean. In the home, skylights are usually embedded up in to the roof of your home at the top of a narrow opening. This makes them extremely difficult to access, and even more difficult to clean. In office buildings and high-rises, the challenges are even greater. Most skylight windows are elevated on a high ceiling and cover a sizable area with intricate design. They are often horizontal, so the greatest challenge is cleaning the exterior. With the apparent hazards associated with cleaning skylights, it is important to hire a Las Vegas window cleaning company that has extensive experience in order to insure that the job is done right and under safe guidelines. At Southwest Ultra Clear we employ safe practices and follow city and state codes and regulations. We value our team of cleaning professionals and only use the highest quality equipment that provides safety. 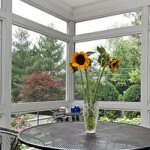 Don’t let your window screens interfere with the beauty your windows are meant to display! Take advantage of screen cleaning services from Southwest Ultra Clear. Window screens are fragile and are subject to wear and tear during cleaning. Trying to eliminate hard dirt, grime and debris from the delicate screen construction will bend the frames making them unattractive and obtrusive. Why risk ruining your window screens when you can rely on a professional licensed, skilled and experienced company with extensive window screen cleaning experience to handle all your large and small window screen cleaning needs? The crew at Southwest Ultra Clear provides quality window screen cleaning services for both residential and commercial properties in large and small office complexes and industrial buildings. Our cleaning process is simple. We remove the screens, vacuum & clean them and gently place reinstall them in the window. With over 2 decades in the window cleaning field, Southwest Ultra Clear provides industry leading window cleaning service for homes and businesses across Las Vegas and Southern Nevada. Our Las Vegas window cleaners safely and thoroughly clean windows for small homes, large corporations and everything in between regardless of the size of your property. We provide exceptional customer service and deliver total satisfaction which means we earn your business and your trust. At Southwest Ultra Clear we know window cleaning! If you are looking for screen, skylight or mirror cleaning services in Las Vegas, then contact Southwest Ultra Clear. Call us at 702-219-3525 or complete our online request form.